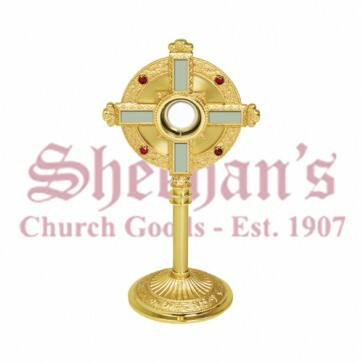 Gold plated Ostensorium with contrasting cross in silver. 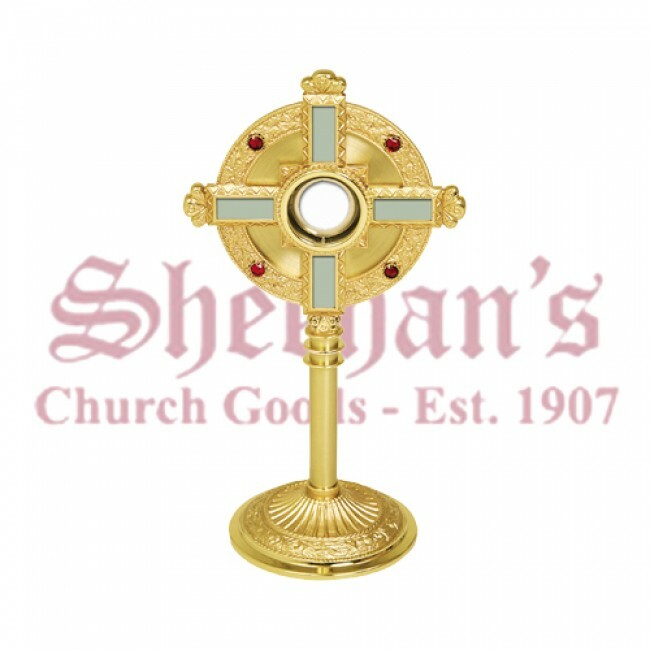 Magnificent Ostensorium gold plated with contrasting cross in silver adorned with four ruby glass stones. Height 24", base 9", secure acrylic glass Luna 2 ¾" and weight 6 lbs. 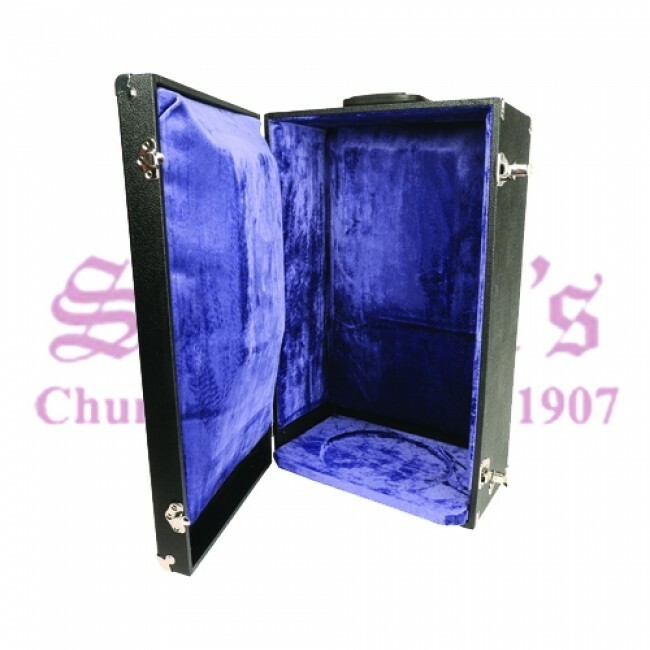 Available with Velvet Lined Carrying Case, outside dimensions 24" x 13 ½" x 9 ½". Monstrance a sacred vessel designed to expose the consecrated Host to the congregation either for adoration in church of carrying in procession, particularly on the Solemnity of the Body and Blood of Christ.